The term “sensory” is becoming more mainstream, but it is still a foreign concept to many people. Sensory play/integration/processing (a variety of terms are used depending on who you are talking to) can be complex and abstract. I want to give you a crash course on the basics of sensory processing, and answer the elusive question, “What is sensory?”, so you can understand why occupational therapists, like myself focus on it. And, how you can give your child a variety of sensory experiences. You can watch the video below to get a quick recap of what sensory issues are and how they may apply to your child. You can also share it with friends here on facebook! OH, THAT'S WHAT SENSORY MEANS! With every one of the 7 sensory systems, kids (and adults) process that information on a range that is unique to each child and can change overtime or throughout the day. However, most kids tend to process the input they are receiving in similar ways. 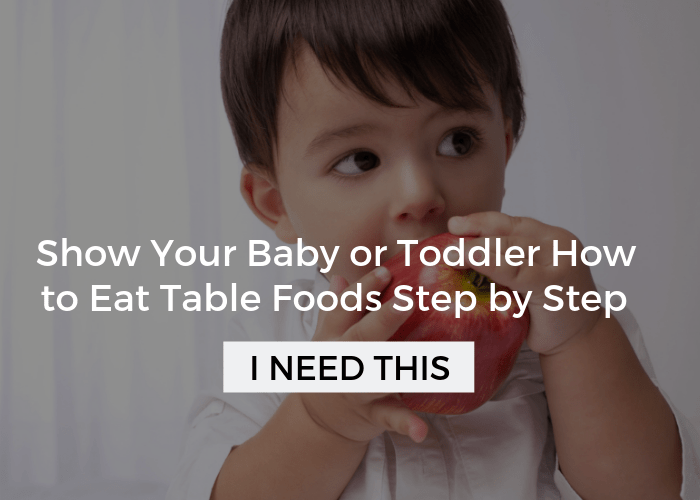 We see children start to have difficulty interacting, paying attention, behaving, sleeping, and/or eating when they’re processing sensory input at one of the ends of the range. On one end of the range is being sensitive to a particular sensation or an entire sensory system. That would mean your child avoids those types of input. At the other end of the range kids may under process the input and SEEK that type of input. Still some kids seem not to even register the input, it’s like they don’t even feel it. We call that Low Registration. Sensory Integration is a theory developed by an occupational therapist, A. Jean Ayres, in the 1960’s. In Ayres’ own words, “sensory integration is the central nervous system translating information into action”. Basically, it means that the behavior we exhibit is linked to neurological processes. Therefore, if we display disorganized behavior, we likely have disorganized neurological processes. In layman’s terms: Everything we feel or experience, from wind on our face to driving a car is processed in our brain. If a child has an unusual response then their brain isn’t processing what they feel or experience well. Through meaningful sensory activities and a child’s inherent motivation, the child is able to make adaptive responses. This allows them to have more organized behaviors. In layman’s terms: When a kid wants to participate in sensory play (to them it is just play), they adjust how they are playing based on what they are experiencing/feeling. However, sensory integration focuses on tactile, vestibular, and proprioceptive input, which will be described in more detail below. OT’s often use Sensory Integration therapy to improve a child’s sensory processing. Read more about Sensory Integration Therapy and if your child needs it. WHAT IS TACTILE, VESTIBULAR, AND PROPRIOCEPTIVE INPUT? Tactile Input: Our sense of touch, including being touched and touching other things, as well as temperature and pain. Get a complete guide to the Mighty Tactile Sense. How does a feather feel compared to a piece of sandpaper? Vestibular Input: Our sense of movement and balance which is activated through stimulation to the vestibular receptors in the inner ear when we move in different positions. Also, contributes to posture and maintenance of a stable visual field. Read more about the vestibular system here. Our vestibular system is stimulated when riding on a swing, riding in a car, jumping up and down, etc. Proprioceptive Input: Gives us our sense of body awareness, meaning that we know where our body is in space and how to move it in various environments efficiently and safely. The receptors for proprioception are located in our muscles, tendons, and joints. We stimulate our proprioceptive system through the deep pressure input we receive in the joints throughout our body. This occurs when we walk, run, jump, get or give a hug, etc. Most kids enjoy this type of input and it is often used to help calm children down even if one of their other senses is out of balance. Bundy, A.C., Lane, S.J., and Murray, E.A. (2002) Sensory Integration Theory and Practice. Second Edition. Schaaf, R.C. and Roley S.S. (2006) Sensory Integration: Applying Clinical Reasoning to Practice with Diverse Populations. Below is a short list of sensory activities to stimulate a few of the sensory systems. I bet you didn’t know you were doing sensory play when you played leap frog with your kid! There are many more ideas than what is listed here, this is just to get you started! You can also find a huge list of over 100 sensory activities here. Proprioceptive: Roughhousing, play wrestling, leap frog, tug-of-war, wheelbarrow walking, jumping on a trampoline, crawling under couch cushions, chin-ups, play with weighted balls, jumping and crashing on the bed, pushing another child on the swing, playing in a body sock, foot-to-foot bicycling with friend, firm family hugging, stirring/ rolling/kneading dough, digging, carrying, shoveling, raking, pushing/lifting heavy objects, moving furniture, vacuuming, sweeping, mopping, carrying laundry basket, row row row your boat with partner, rolling up with a blanket to make a hot dog or burrito, rolling a large ball over the child, playing tug-of-war, vibrating toys, and crawling into a stretchy pillow case or tunnel. Get a huge list of powerful proprioceptive activities! Vestibular: Sitting in a rocking chair, sitting on a ball to watch TV, playing on a slide, swing, seesaw, trapeze, running, skipping, ladder, monkey bars, glider, suspended bridge, and roughhousing. Riding a bike, scooter, skateboard, rollerblades, and roller coasters, too. Discover more calming and stimulating vestibular activities. 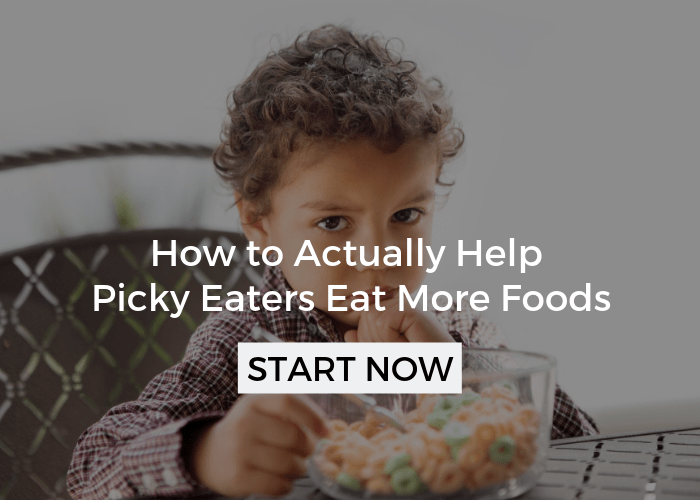 Oral: Healthy, chewy foods (e.g., celery, carrots, apples, nuts, fruit leather, beef jerky), thick liquids requiring straw (e.g., milkshakes, smoothies, gelatin, pudding), teethers (especially those that vibrate), whistles, blowing bubbles, feathers, balloons, or anything lightweight. 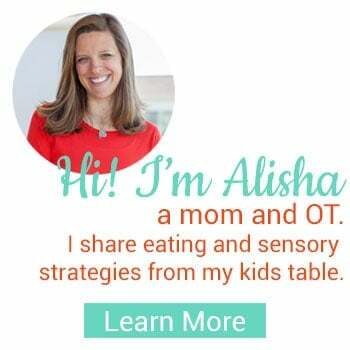 See a lot more on oral sensory processing ideas here. Find more details and ideas over at incredible tactile activities. And, if you’re looking for the whole gamut of sensory activities then get inspired with ultimate sensory diet activities. Generally speaking, it is better to avoid light touch and provide firm touch, especially if your kid is sensitive to touch. Take into consideration light, odor, and noise in the environment. it may be helpful to play soft music, eliminate strong smells, or dim the lights. Conversely, some children may need fast paced music, strong smells, or bright lights to focus. A child’s sensory needs may change from day to day. They may respond well to being wrapped up in a blanket during one session and run from it the next. Always respect a child’s boundaries in relation to sensory activities (i.e. never force a child’s hand into finger paint if they are tactile defensive, even if you are tricking them). 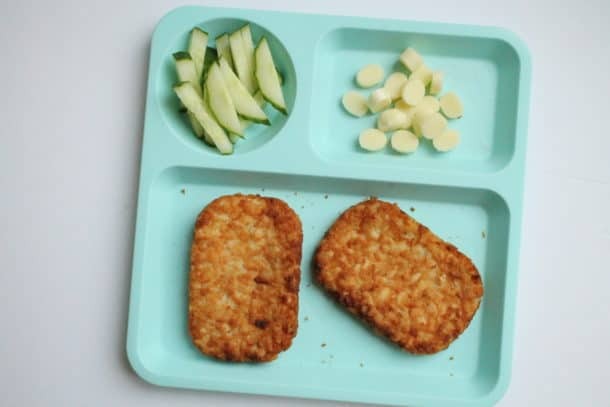 A sensory diet is sensory activities provided to a child at particular intervals throughout the day to help them respond more effectively to their environment. It should be dynamic in nature, changing with the child, ultimately giving them a tool to modify sensory input. 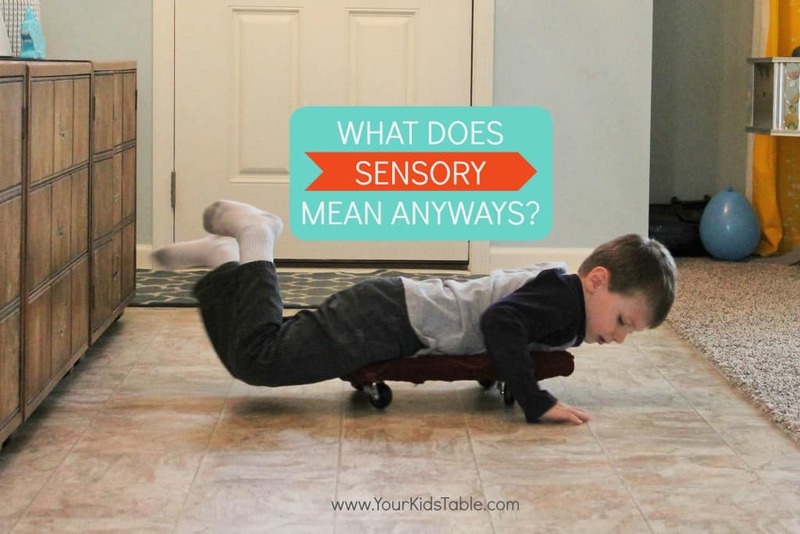 Usually a sensory activity is offered to meet a child’s needs or they are in a dysregulated state, meaning their sensory system is out of balance. For example, if your child is melting down in the store because of the bright lights you would offer sunglasses or a brimmed hat. You may also give them a hug (calming proprioceptive input) and talk softly. Sometimes a sensory diet it on the fly like that, other times it is planned in advance because you know the store is difficulty for you child, in which case you would have the glasses ready to go and make it a point to be in and out. You may even do some sensory activities ahead of time to help calm the system, proprioceptive activities are usually beneficial for that. 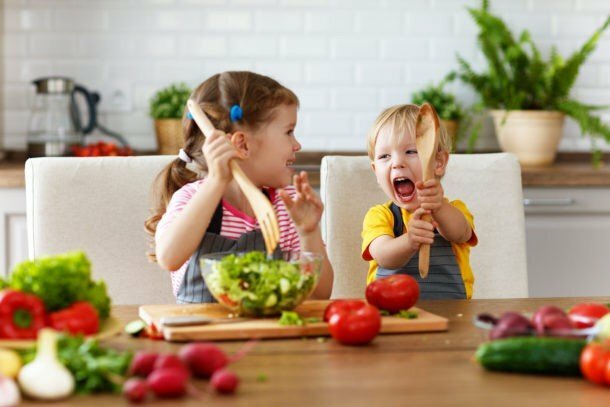 Sensory diet’s often allow children to be able to be more alert or calm so that they can complete school activities or daily routines such as meal-time, sleeping, social-outing, or playing with peers/siblings. For kids that process that sensory input differently these activities may be more difficult because their sensory system is out of balance. Your child’s sensory needs aren’t written in stone. 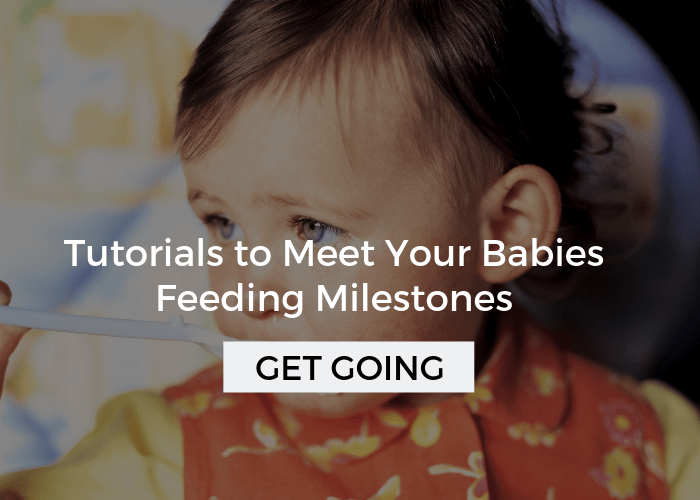 Remember that they may change, and by providing them with the support they need through various sensory activities you will see the behaviors diminish, as their sensory systems will be more regulated and organized. I like to use sensory diet cards, which show kids different sensory activities, and have them choose what will be the most helpful. 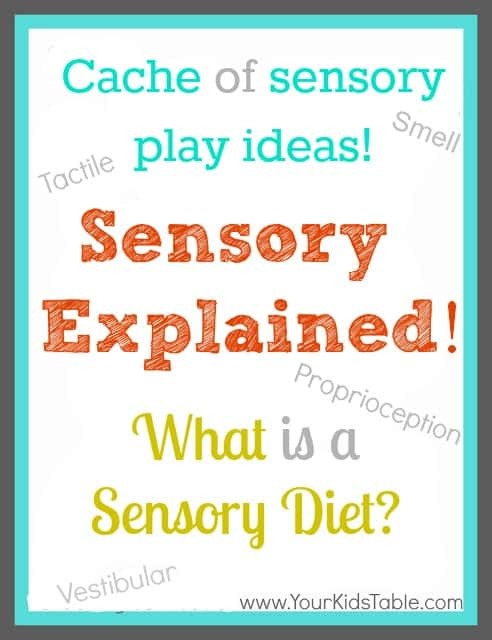 Read more about what sensory diet’s are and get a FREE sensory diet template. You can also find how to use a calming sensory tent and how to choose the best sensory toy for your child. And, if you’re looking for strategies to use in school check out 13 Sensory Strategies for the Classroom. I’m just scratching the sensory surface on this page, but you can join the brand new free sensory workshop, NOW! 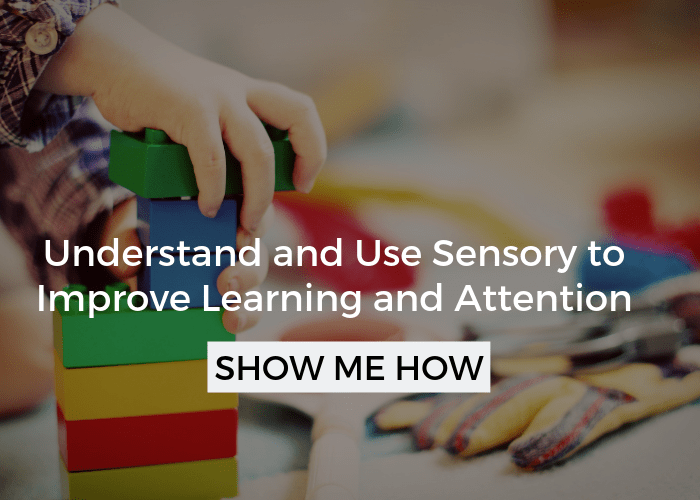 This is only available for a limited time, and is an amazing way to learn more about sensory so you can help your child. Save your seat right here. And, if you want to dive even deeper and become a bona fide sensory expert for your child check out the full, 3 week sensory course, completely geared towards parents. If you have a kid with sensory differences it will change your life!